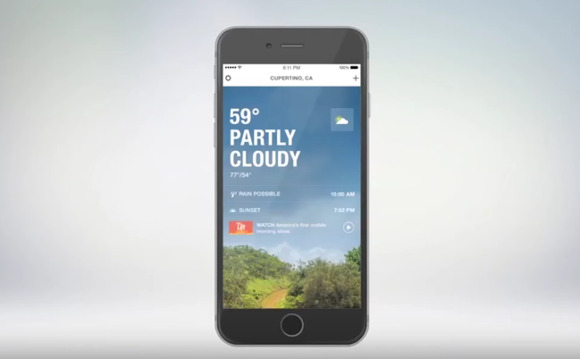 The popular weather app just introduced an ad-free version and 15-day forecasts. There are times when your iPhone’s native Weather app just doesn’t cut it, like when you want to know whether to expect a light drizzle or a torrential downpour. There are plenty of weather app alternatives, but the stalwart Weather Channel just overhauled its iOS app to be your first destination for weather news. The Weather Channel’s app update puts the information you want up front. 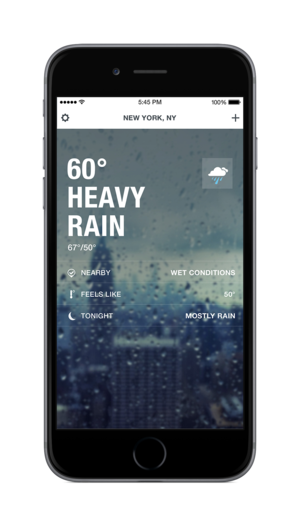 To start, you’ll notice a new home screen when you open the app that tells you current weather conditions, what temperature it feels like outside, and what weather you can expect later in the day. If you’re using an iPhone 6s or 6s Plus, you can use 3D Touch for shortcuts to radar, current location, saved locations, share weather, or search. The app also now features 15-day forecasts instead of the standard 10, though forecasts that far in advance can be a little iffy. The Weather Channel is also launching a new show just for its app users, called “The Lift,” hosted by Al Roker. Weather junkies can stream that show from 6 a.m. to 11 a.m. local time. Perhaps the biggest change in the revamped Weather Channel app is an option to go ad-free for $3.99 a year. You won’t have to pay to get all of the new features, but the app still looks a little cluttered with ads. If you already have a favorite weather app, the Weather Channel’s new look for iOS might not win you over. But it’s one of the few free options around and has way more information than the native Weather app for iOS, which may be reason enough to switch for many people. Bonus: Weather Channel’s app also has an Apple Watch version. In an interesting twist, IBM just bought the Weather Channel’s parent company, the Weather Company, for more than $2 billion. The Weather Channel app was included in that deal, which means the app will benefit from the powerful mind of IBM’s artificial intelligence computer Watson, a data-parsing machine. It’s unclear what effects, if any, the acquisition will have on the app in the near-term, but with the Weather Company’s meteorological data and Watson’s smarts behind it, the sky’s the limit.